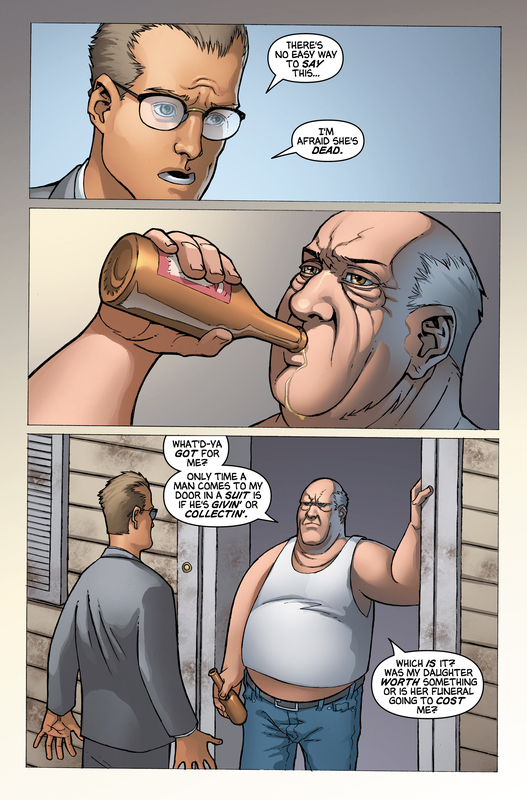 Mr. Bennet visits Eden McCain's father's home to tell him his daughter is dead. When the man reacts with indifference, calling Eden a "cheap whore", Bennet becomes violently angry. 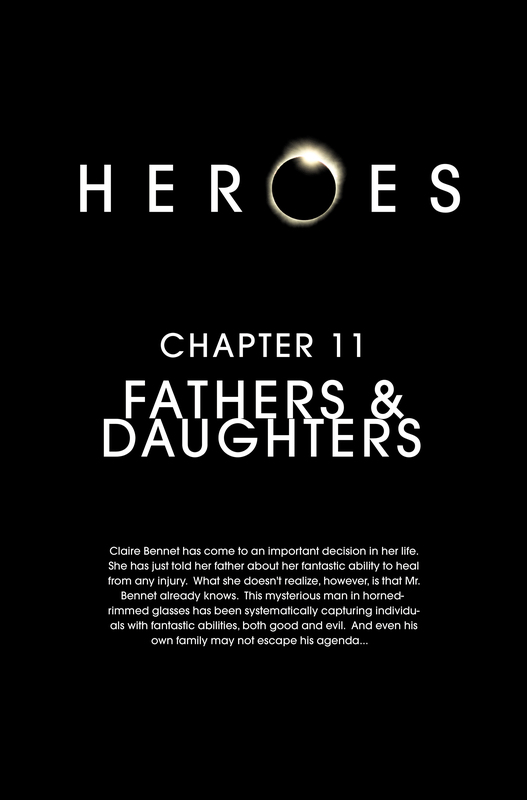 He tells Eden's father that Eden sacrificed her life to stop Sylar from gaining her ability. He then tells the Haitian not to clean the man out completely, but to "leave the guilt". 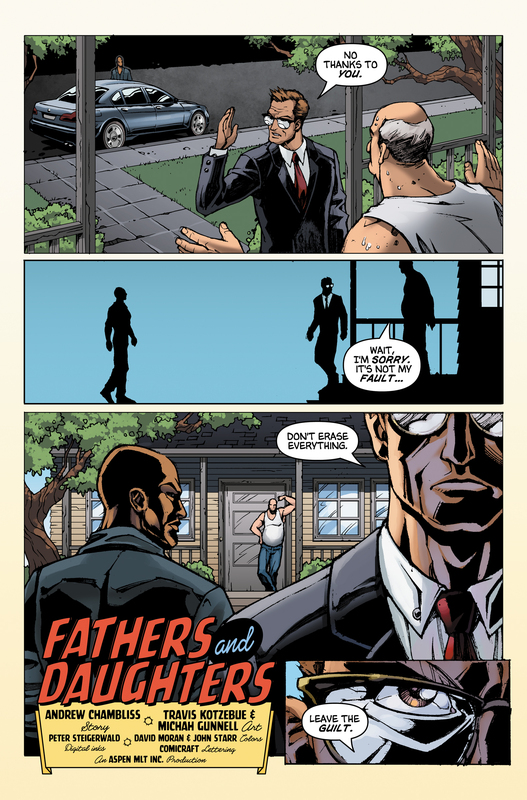 Upon its release, Fathers & Daughters marked Eden's third appearance in a graphic novel, making her the character with most appearances in the graphic novels at that time. She was usurped by Mr. Bennet with his fourth appearance in Wireless, Part 2. Fathers & Daughters fills in the "holes" of a storyline told in Fallout. 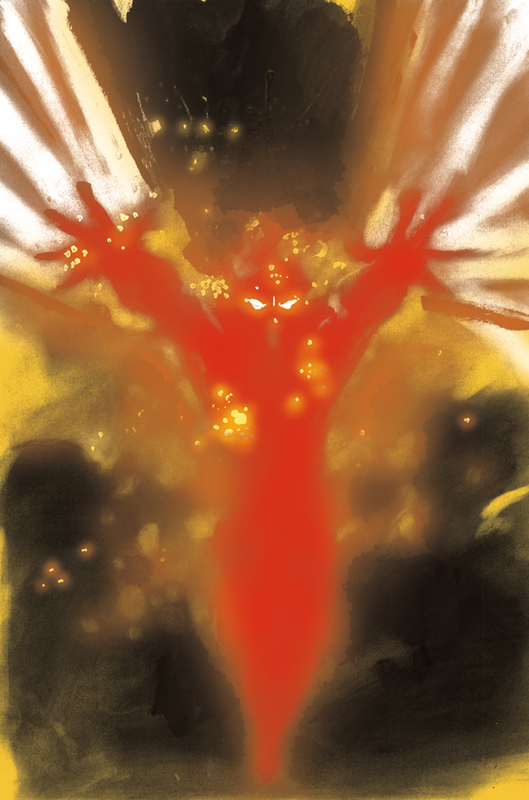 The episode shows Sylar's murder of Eden. 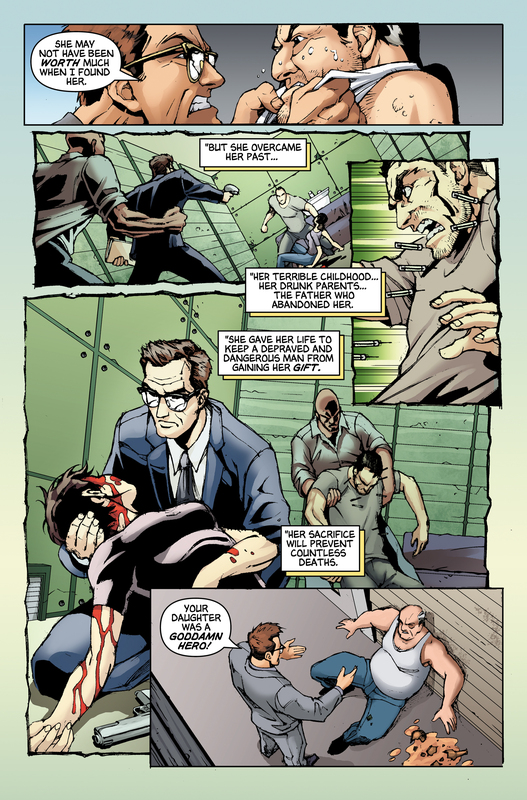 The graphic novel shows what happened immediately after the murder (and explains how Sylar was subdued once again), and the aftermath of the event. For images from Fathers & Daughters, see images from Fathers & Daughters. For Travis Kotzebue's original art from Fathers & Daughters, see here. For an interview in which Micah Gunnell discusses Fathers & Daughters, see here. For an interview in which Travis Kotzebue discusses Fathers & Daughters, see here. Line art — The Kotzebue Bros. This page was last modified on 22 October 2015, at 18:12.